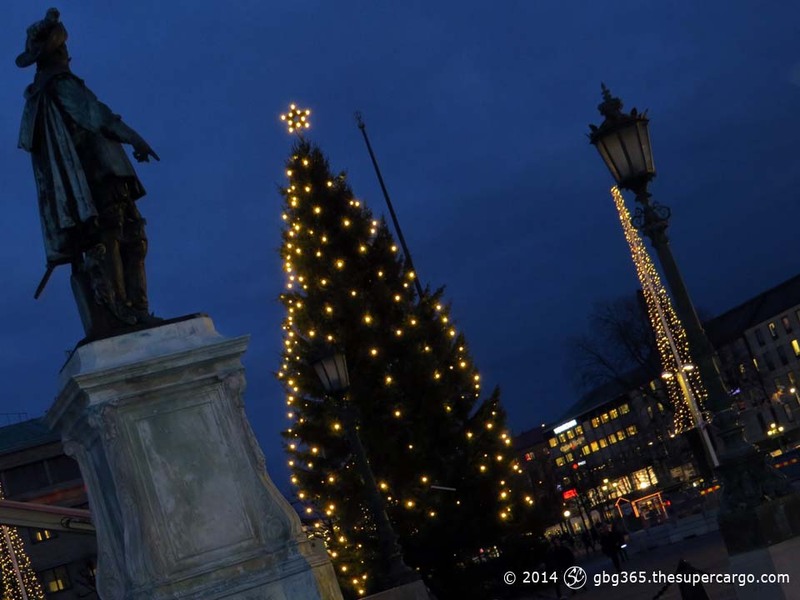 The annual Christmas tree has come up in Gustaf Adolfs Torg in central Gothenburg but the King is unhappy about where they put it. He says: Not there! Here!